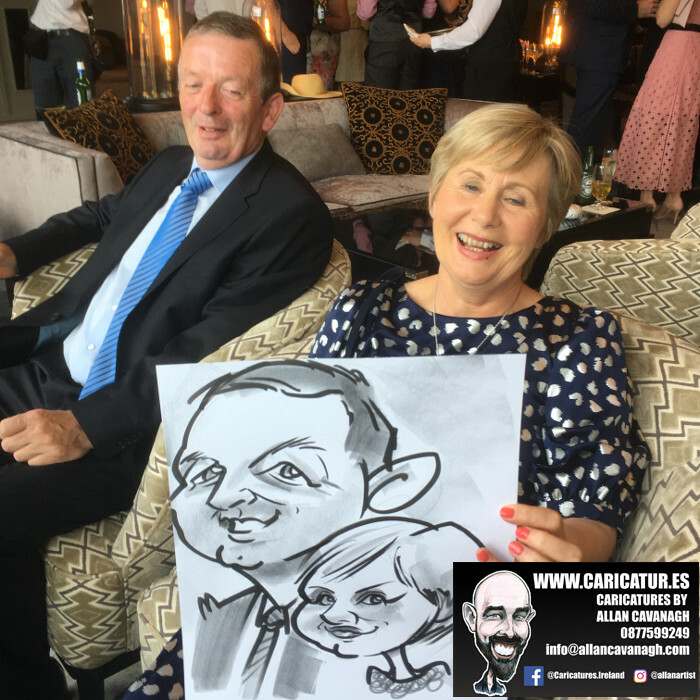 Live wedding caricatures by me, Allan Cavanagh, at this recent drinks reception in the Dunloe Hotel, Killarney, Co. Kerry (phone 064 664 4111). 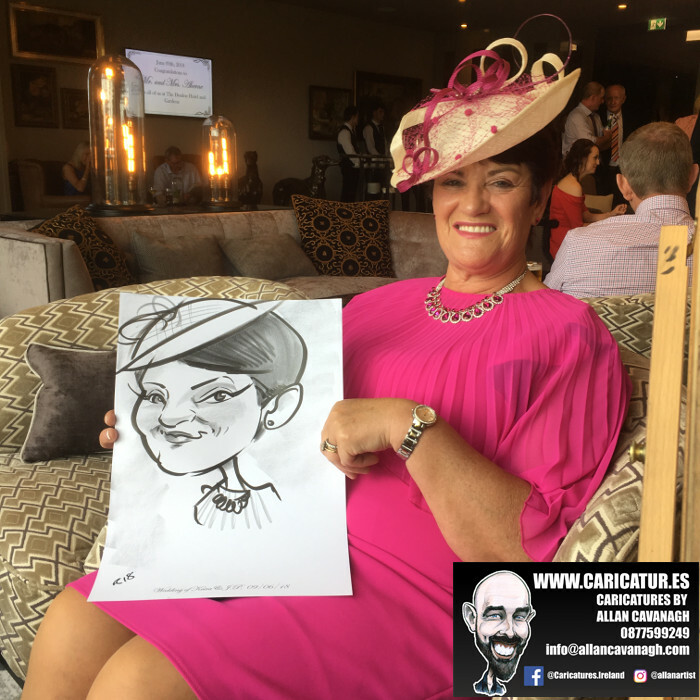 A fabulous venue I had not been in before and it was a delight to entertain once again in the Kingdom! 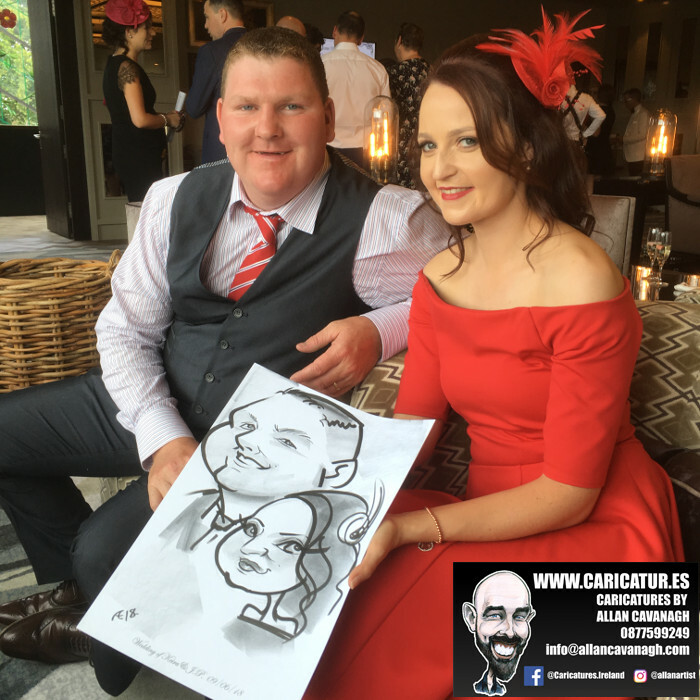 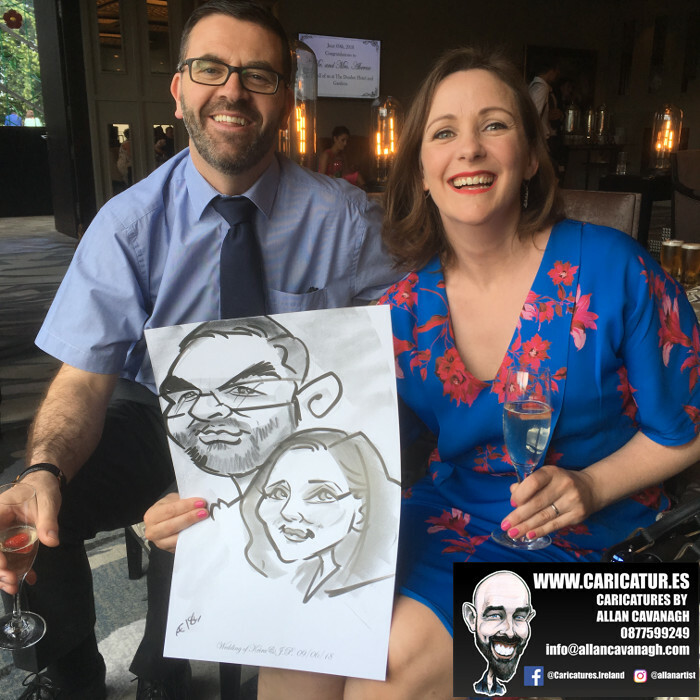 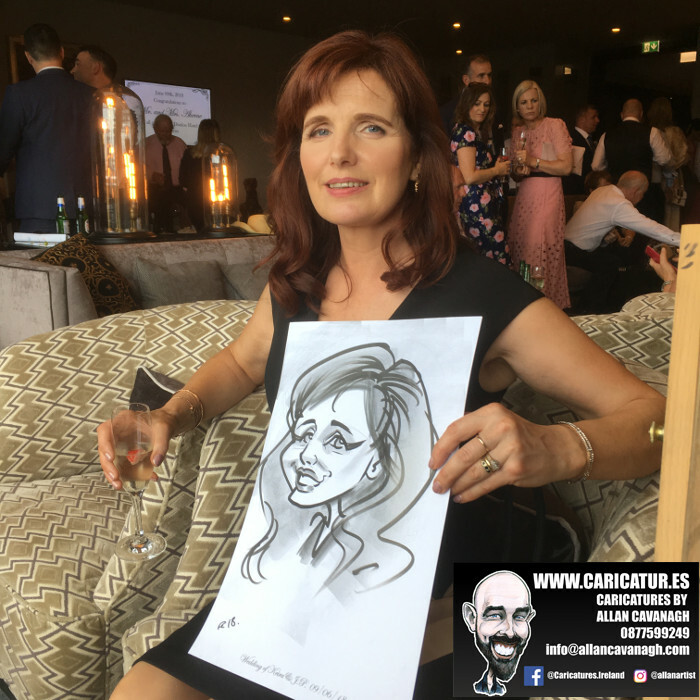 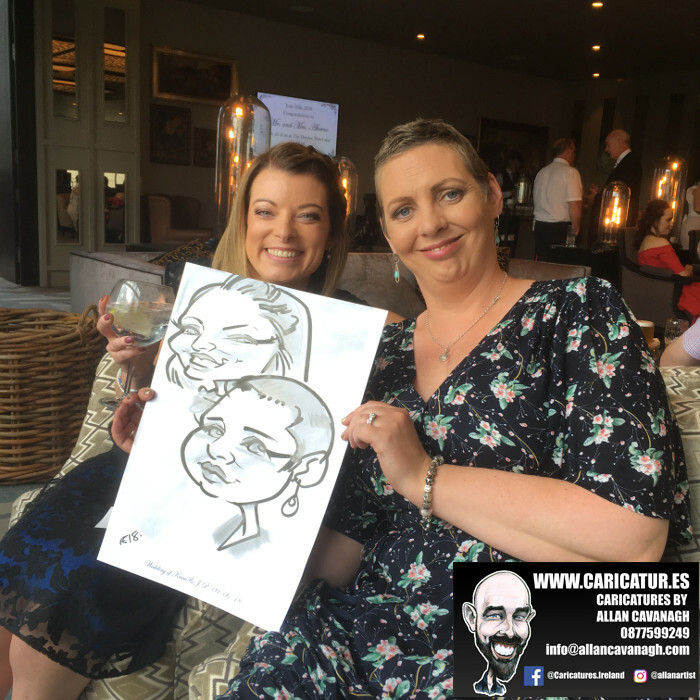 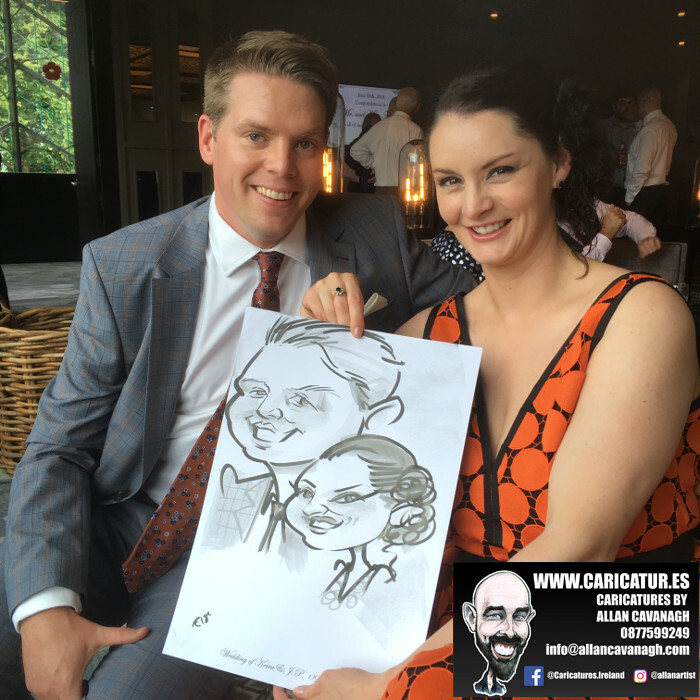 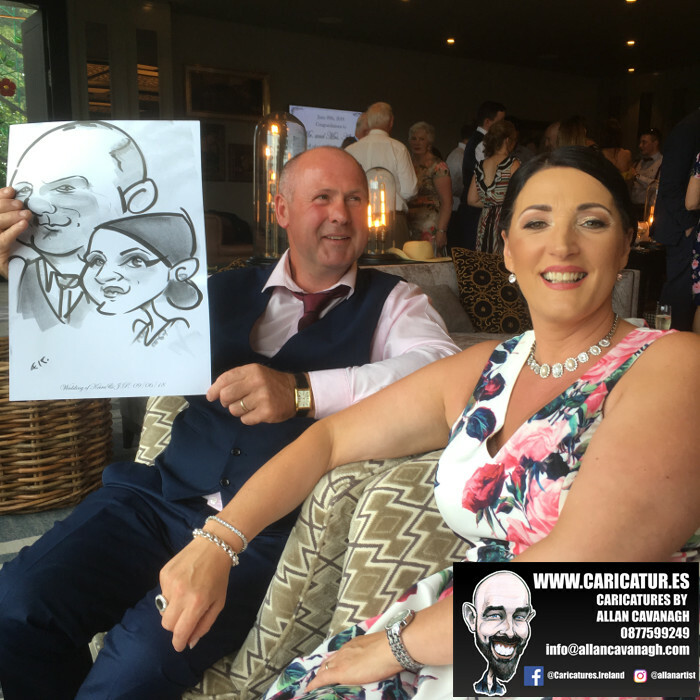 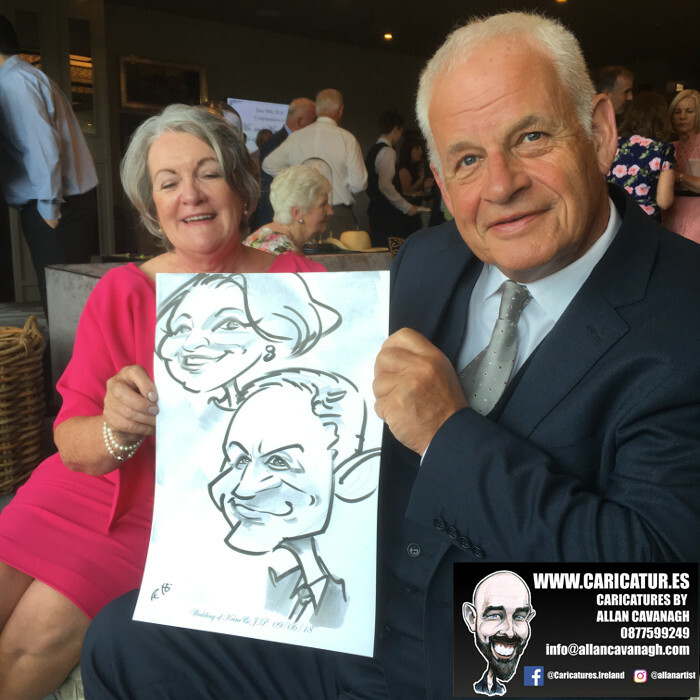 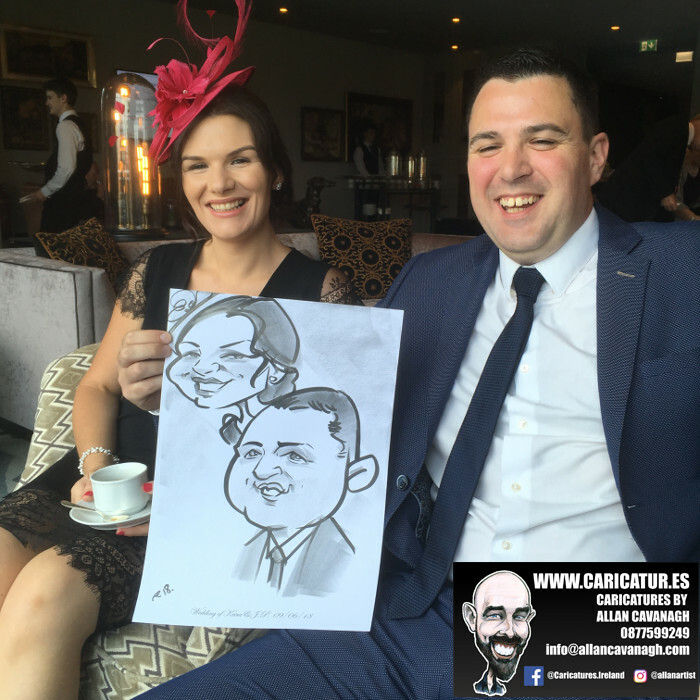 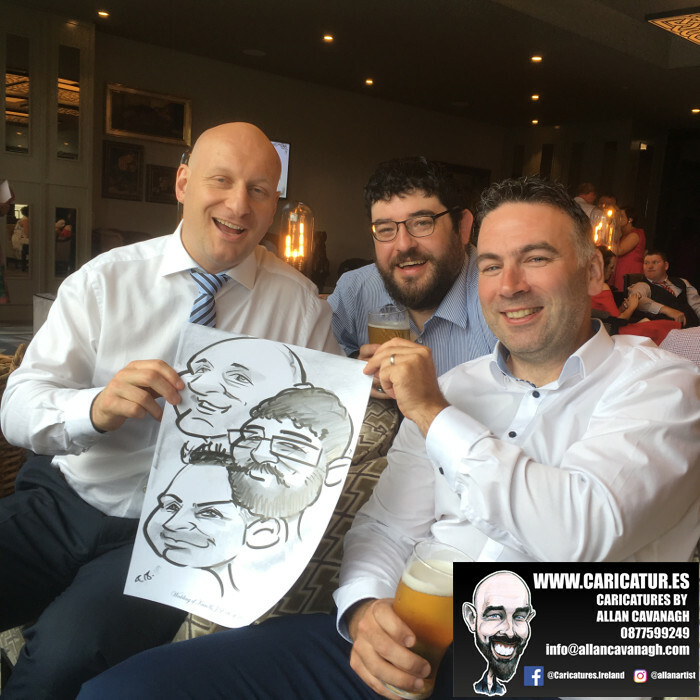 For more information about my live wedding caricatures in Kerry or anywhere else in the country just drop me a line by clicking here!